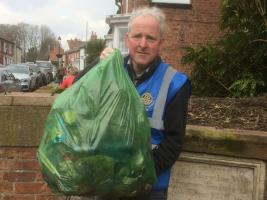 The Rotary Club of Tarporley supports our Community in many ways including donations to Local, National & International Charities where we donate approximately £10,000-£12,000 per year. Thank you to everyone who supported our fund raising activities. Some of the recipients of our donations are shown in the picture above. 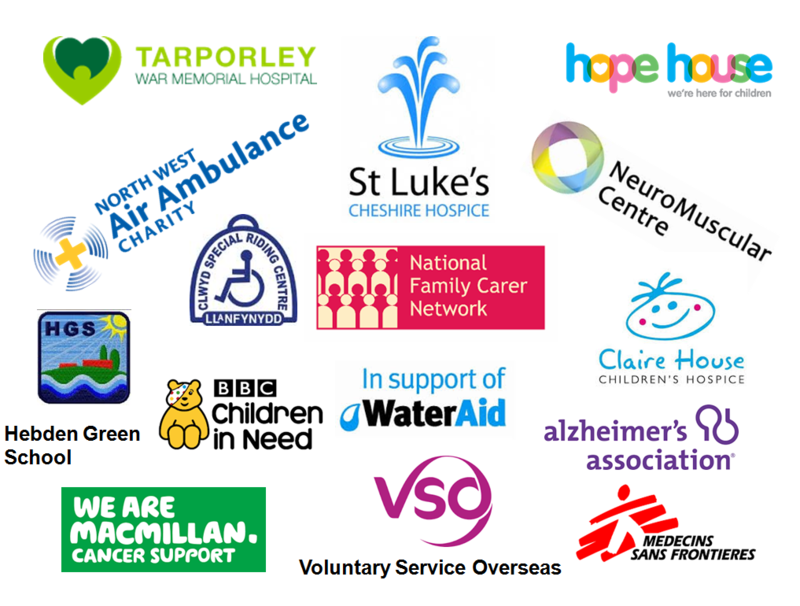 Arrange fund raising events including the Tarporley Carnival, Film Night, Country Market, Santa's Sleigh and Oulton Park Helmet Store. We support Tarporley Community High School by running annual "mock interviews" for the pupils. Support Tarporley Primary School with our Rotakids initiative. Organise community support events such as Stroke Awareness and support for local rescue centres in case of an energency. Part of being a Rotarian is also about having an enjoyable time whilst supporting our community. We therefore organise trips out to theatres, concerts, restaurants and arrange other activities where we can make new friends. We meet most weeks and discuss what we're going to do next and plan new innovative ways to raise money for our charities and good causes.